You can use these sample form letters as a guide, or you can fill in the blanks with the information needed. 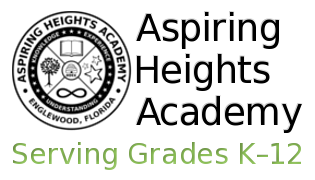 If you have filed a Notice of Intent to establish a home education program with your district school, you'll need to send them a Notice of Termination within 30 days of enrolling at Aspiring Heights Academy. Most district schools have forms you can download, but if your district school does not, or you would prefer not to use their form, you can use this one to notify them that you are terminating your home education program. This document can be used for religious exemption from immunization. Florida Statute 1003.22 states that the provisions of this section shall not apply if the parent of the child objects in writing that the administration of immunizing agents conflicts with his or her religious tenets or practices. 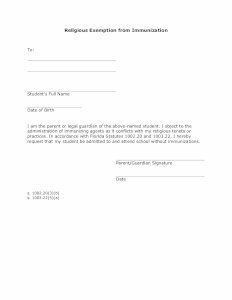 This form can be used for religious exemption from a school entry health examination. Florida Statute 1003.22 states that a child shall be exempted from the requirement of a health examination upon written request of the parent of the child stating objections to the examination on religious grounds. 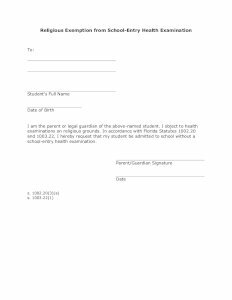 This form can be used for religious exemption from both immunizations and school entry health examinations. Florida Statute 1003.22 states that the provisions of this section shall not apply if the parent of the child objects in writing that the administration of immunizing agents conflicts with his or her religious tenets or practices and that a child shall be exempted from the requirement of a health examination upon written request of the parent of the child stating objections to the examination on religious grounds.